Many Metro Detroit suburbs offer a family-friendly environment. For those who want to get away from the hustle and bustle of the big city and come home to a comforting lifestyle, Sterling Heights is just a 25- to 30-minute drive away. However, just as with any location you choose, there always remains a small amount of risk when it comes to home ownership. You may have to deal with fire damage or smoke damage Sterling Heights at some point. It is always better to know what to expect and prepare in case the worst occurs. Fire is a disaster that can happen to anyone. Home fires account for an average of more than $7 billion in damage each year. But you can be ready by knowing how to handle a fire or smoke damage situation. 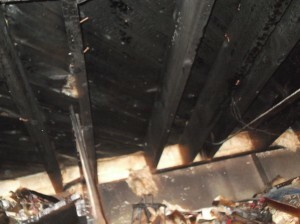 Smoke damage cleanup is not an easy thing to do. In many cases, it needs professional help. Call your insurance company to report the situation and ask for a professional recommendation as well. The issue with smoke residue is that the damage may not be visible to the untrained eye. As smoke can migrate to the cooler parts of the building in a matter of minutes, you won’t know right away just how much damage it has done. To determine how to deal with the smoke damage. First of all, there are two types. 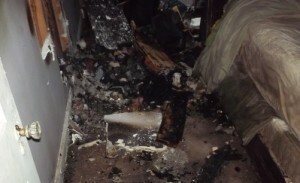 One caused by wet smoke which leaves sticky and pungent residue. The other kind, a dry smoke residue which is powdery, less smelly and easier to clean. Before tackling smoke residue, soot and water residue must be cleaned up first. Professional cleaners have high-end tools like an ozone machine, for example, to remove smoke odor. This machine releases ozone gas to break down smoke molecules. It may take more than a day to remove the odor and some machines may be left running for a few hours a day. No one should be near the ozone machine when it is in place and turned on. Dissipate trapped gas and air out the room to avoid health complications when entering the room or house that has been treated with ozone. Smoke damage cleanup – Sterling Heights and other Southeastern Michigan locations is a complicated process which is why professional help is advised, although homeowners can also do some cleaning and salvaging of items. When waiting for the experts to arrive if safe, items that need to be washed can be removed. For concrete or hard surfaces, remove soot and fire retardant residue by scrubbing it with bleach and water. Dry and clean wet areas, too. Use an outside power source if you need to use fans and vacuum. Keep safety a priority. Use a mask, rubber gloves and boots and other appropriate clothing to avoid inhaling fumes and toxins. Finally, the entire cleanup process usually best left to the professionals. Training and equipment are used to get the job done right and quickly.